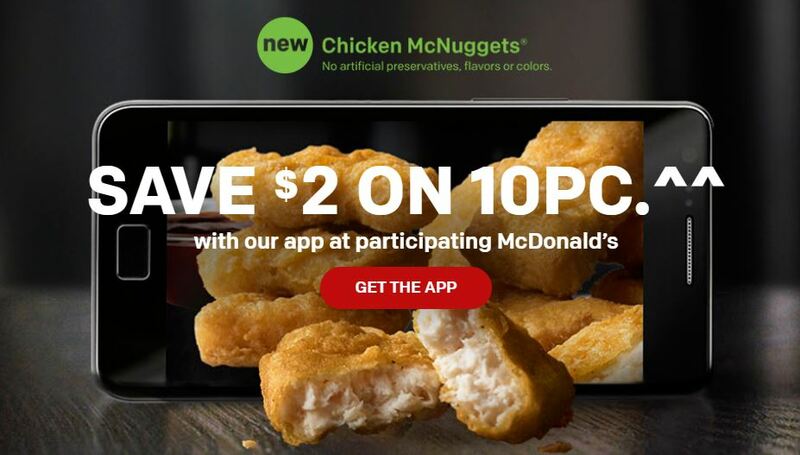 By downloading the McDonald’s app, you can now get $2 Off 10 piece McNuggets! McDonald’s new McNuggets contain no artificial preservatives, flavors or colors. It’s available until 1 January 2017 at participating stores. To take advantage of this deal and to locate your closest McDonald’s store, click here. Let us know in the comments if you’ve tried out this deal!